TripIt Trip Planner - Free vs Pro, Which Way Do You Go? 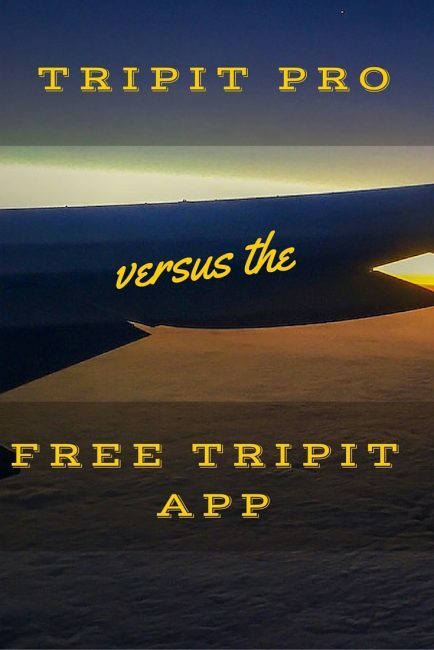 TripIt Trip Planner – Free vs Pro, Which Way Do You Go? If you are an avid traveller, chances are you'll need some help organizing your itinerary and travel plans. 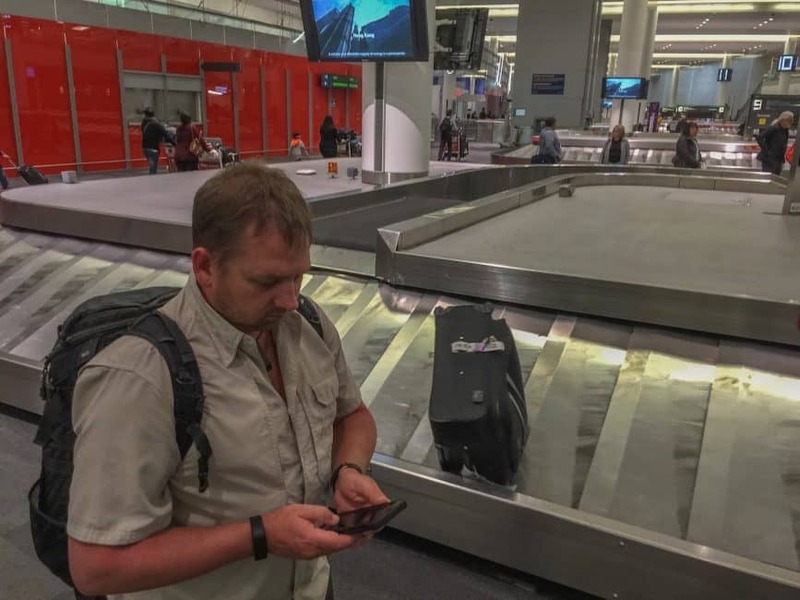 This is where a trip planner comes in handy and he TripIt app does just that. For business travellers TripIt is a must. There are other travel curators out there, but we've found that TripIt is the one app that does it all. To set up TripIt, all you have to do is sign up for your account with the email address that you receive your various travel confirmations from. 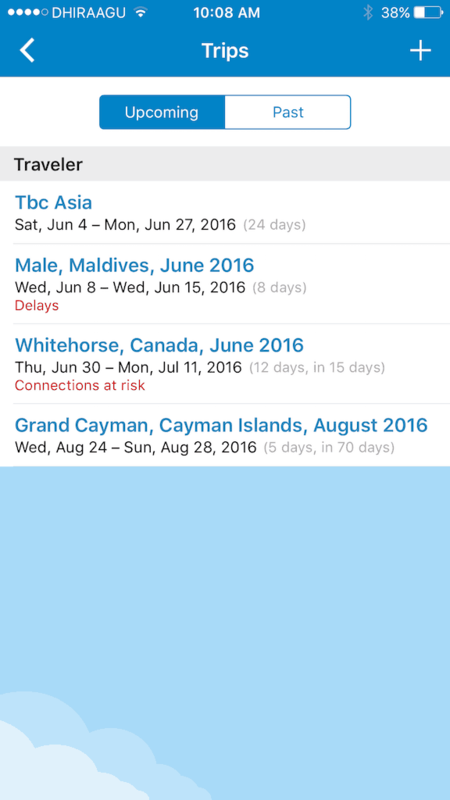 The app will scan for any travel alerts and add them automatically to your account. If you prefer not to have it automated, you can forward your reservations to [email protected]. Either way you choose, TripIt will create a master itinerary for all your upcoming travels. We've had a lot of people ask us what's the difference between the free version of TripIt and the paid version of this trip planner. Instead of answering a ton of emails, we thought we'd break it down for you so here goes. To set TripIt sign up for your account with the email address that you receive your various travel confirmations from. 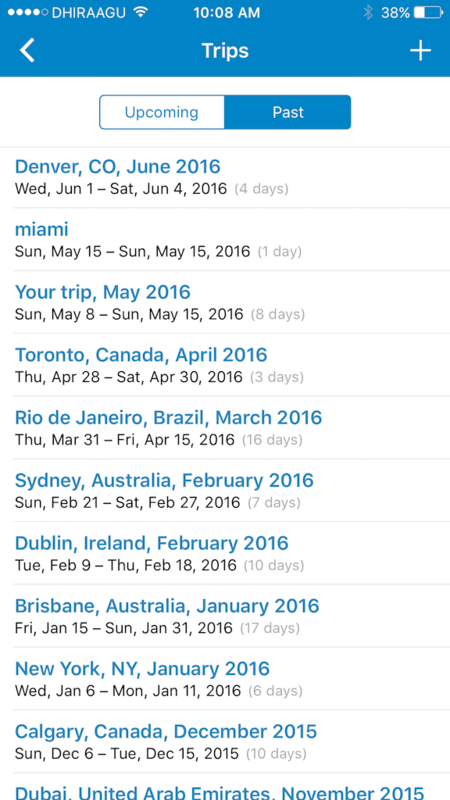 TripIt will store all your confirmation numbers, contact information, and reservations in one handy itinerary. You can check it anytime. You'll even get email alerts about upcoming travel plans. Your master itinerary has all your confirmation numbers, reservations, contact info, directions, and more in one spot. You can also store all your travel documents in one place. This is one of our favourite features. Gone are the old ways of carrying photocopies of passports, we can store all we need in a safe and secure location. It doesn't matter which airline you book with, which online travel booking company, or what travel service you use, TripIt will gather all travel information that goes to your email. You could book through a travel agent, American Express, Kayak or anywhere and TripIt will scan it and find it. From car rentals to hotel reservations, you'll have your travel information all in one place at your fingertips. It even gives contact information. For just $49/year, TripIt Pro is worth the $4.09 per month fee. As avid travellers, we rely on heavily on our trip planner and TripIt Pro to makes our travels easier and less stressful. While the free version gives you a great basis compiling all your travel plans and information in one place, TripIt Pro goes the extra mile. We receive email alerts letting us know when we can check in, if there are any delays and even if there are gate changes. We've been standing with a crowd waiting to board a flight when we receive an alert that our gate has been changed. Before the crew can even notify anyone, we've already picked up and moved to the next gate where we stand happily at the front of the line watching the dishevelled crowd arrive long after us. 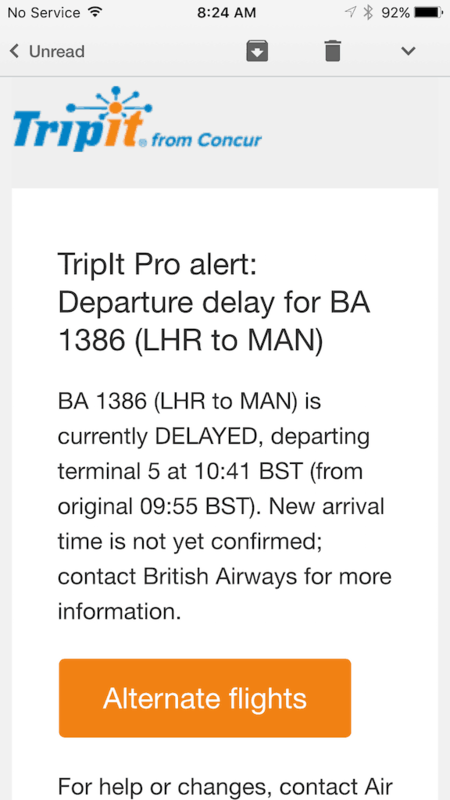 Other alerts that you may receive from TripIt are: Connection Risks, flight delays, check-in alerts and terminal notifications. Have you ever been flying home and on the way to the airport in a foreign country, the taxi driver asks what terminal are you flying from? Instead of having to dig through your emails or find your ticket, we just open the TripIt app and it tells us. It really does make our life easier. We once had a flight cancelled in Penticton, British Columbia while flying out from a travel conference. The small airport was packed with people flying home from the conference and we found out before anyone that our flight was cancelled. 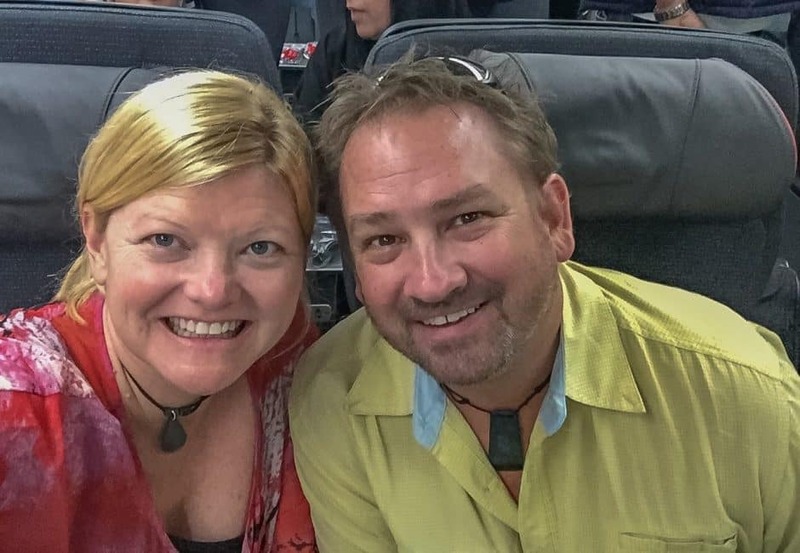 We were on the phone immediately booking on the next flight out, beating the rush of people and being able to make our connection in Europe. Had we not had that alert, we may have been on hold forever and missed our next flight. Dave and I often book last minute flights and end up with horrible seat choices. 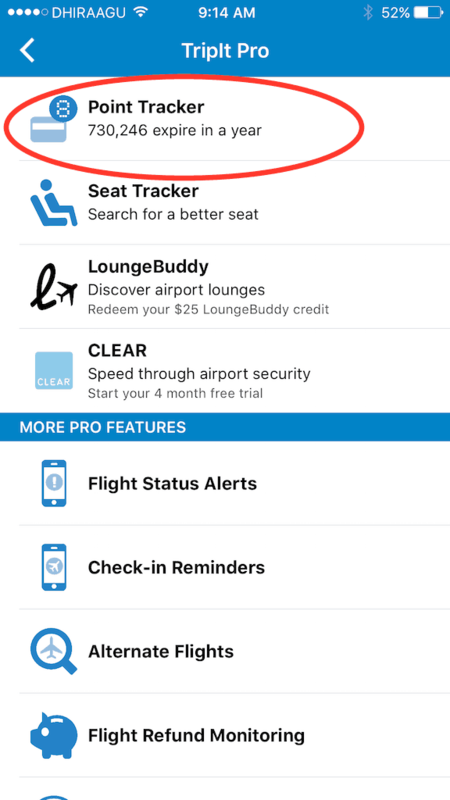 Thanks to the TripIt Alerts, we've been able to set up a seat tracker to let us know when better seats come available on our flight. We get the alert and immediately go to our reservation to book the better choices. It has saved our bacon many times on extra long flights that would otherwise be very uncomfortable in the middle seat. Dave and I gather a lot of rewards. Sometimes we don't even know how many points we have. I once looked at my rewards on TripIt and found out that I had a tone of SPG points. I needed to book a hotel that night and ended up getting it for free through points. I wouldn't have even known that I had enough points for a free stay if I didn't see it on the app. When I put my account number into TripIt. It automatically updates it every time I used it. It's saves the step of having to constantly look up your different accounts. Instead it's all in one place. So while TripIt free is a good start, TripIt Pro is really where it's at. TripIt offers a free 30 day trial and it's worth trying if you have some upcoming travel plans. Once you see all the benefits of TripIt Pro, you won't ever go back. 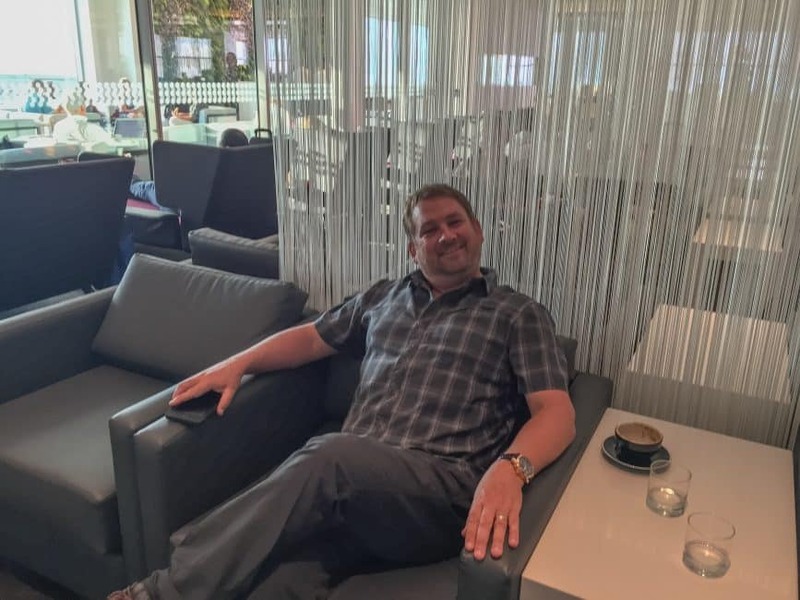 When you fly a lot, lounges become very important places to catch up on work, have a few quiet moments before the chaos begins and maybe grab a bite, a nap, or even a shower in between flight. We have memberships to lounges with Priority Pass, American Express, and with our Air Canada status we can access all Star Alliance lounges when flying with a partner. But not all lounges are created equal. We sometimes have the luxury of being able to choose which lounge is the best at a terminal and LoungeBuddy helps us choose. It tells us what lounges are available at the airport we’re flying into, and it offers reviews, gives lounge hours and shows photos. 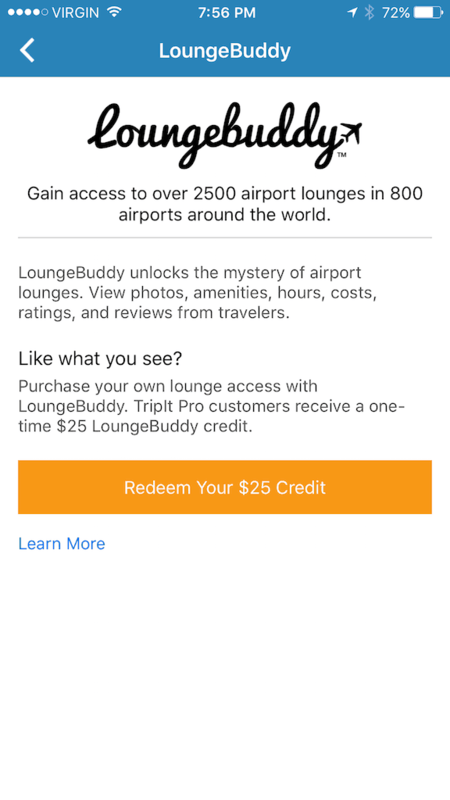 If you don’t have lounge access, you can purchase a pass and TripIt Pro tells you how much it costs to enter each and when you sign up, you get a $25 lounge credit to use. 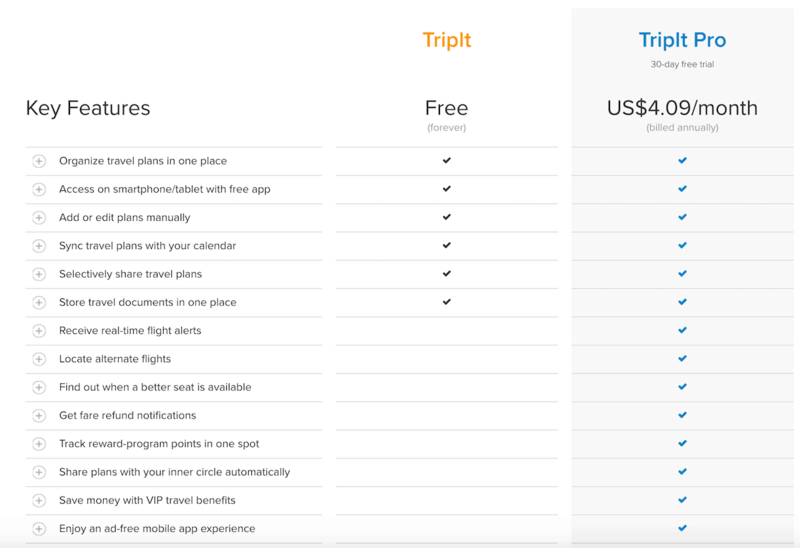 4 Responses to "TripIt Trip Planner – Free vs Pro, Which Way Do You Go?" I travel a lot as part of my job and I’ve been using Trip It since 2011. 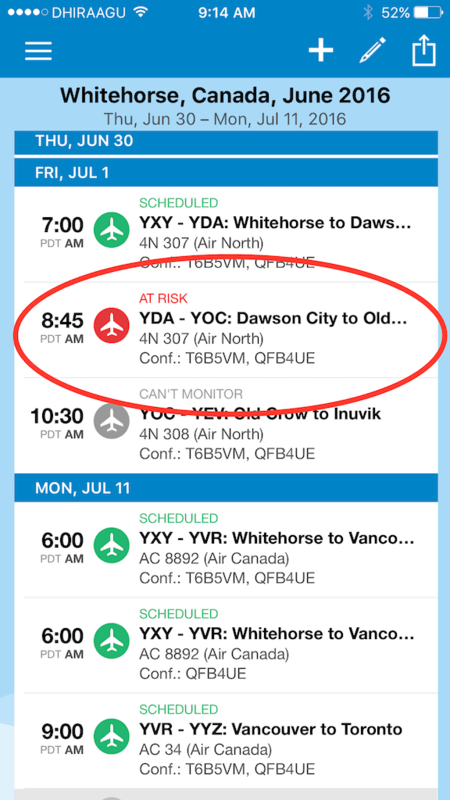 I use the pro version as it updates me via SMS about delays, gate changes, whether the flight is on time or not and if you are connecting to another flight what gate your flight is leaving from the moment that you land and switch on your phone. This info has saved me on many an occasion Eg. on my last trip I was about to check out of my hotel and head to the airport and was notified by Trip It SMS that my plane was delayed by +4hrs so I just relaxed in my hotel for a bit longer and hit the pool for a while. It also saves me from having to print my itinerary and flight/hotel/car rental booking numbers as it’s all stored easily in one spot. Just email your bookings to [email protected] and 99% of the time it does the rest. I can also share my travel plans with my family. For me, the cost of $50 is well worth it – just having that swim rather than waiting at the airport on my last trip is justification enough for me. .
Nice app, I have use it. I have the free version and it really is handy at planning my trips and keeping me organized! I like the reward tracker feature on the pro version, but I’m not sure if I would use the other features. Pretty Nice post!! Interesting and informative article about Tripit. Thanks for sharing your thoughts.